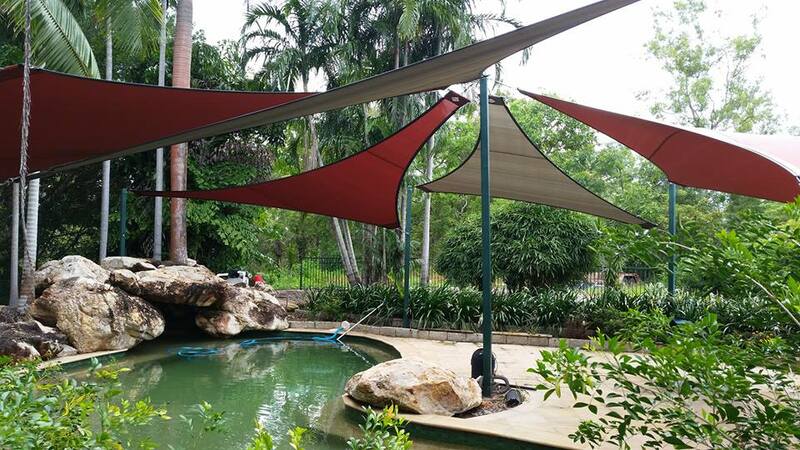 Aerosail have been manufacturing permeable shade sails for residential use since 1988. Some of the designs we created include Aerosail Peak, Aerosail Wave plus we adapted some other designs that were used for other purposes including the Blade and the Skillion. A four or more side fabric membrane with a central support ring attached to overhead wire rope. A four or more side fabric membrane with alternating high and low fixing points creating an anti-clastic free form shape. A three sided fabric membrane, mono-slope by nature because it can’t take any other shape. A four or more sided fabric membrane creating a mono-slope. A hybrid of the skillion and the Aerosail Wave we created for sites where there is not sufficient rainwater run-off.